We love hanging out with cartoon Dan and Phil. They are always very friendly and lots of fun to be around. 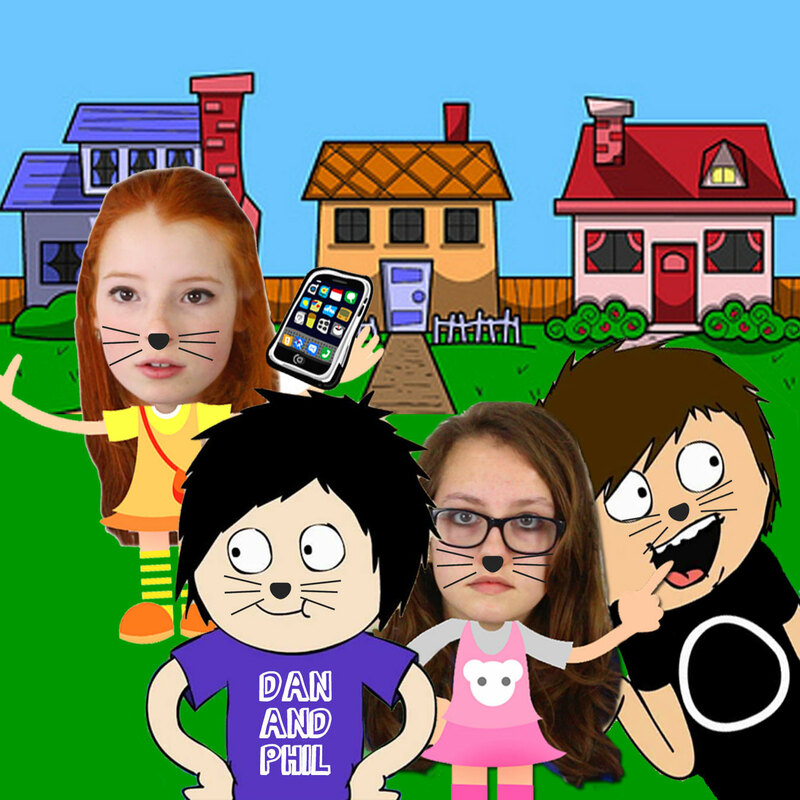 This picture shows us walking down the street with Dan Howell (danisnotonfire) and Phil Lester (amazingphil). We were actually on the way to the supermarket, to try and get something nice for tea, with the obligatory cat whiskers painted onto our faces. We're not sure why Dan and Phil do this, but it certainly suits them and has become something of a trademark for the boys. Nia had her iPhone out, as she usually does, so that she could post some pictures of us on the NiliPOD Instagram account, while Liv was more interested in poking and generally annoying cartoon Dan.